We have another play recipe to share with you. This one is food. No seriously… it is breakfast to be precise. We are calling it Breakfast Dough. As I have mentioned before, my toddler eats everything. Everything, except what she is supposed to eat, that is. She plays with food but she nibbles on what she supposed to play with. Breakfast times are terrible. She loves cereal but it has to be a different one every day and most days, we are a giant mess. She leaves me with no choice but to give her a bath right after breakfast due to it. 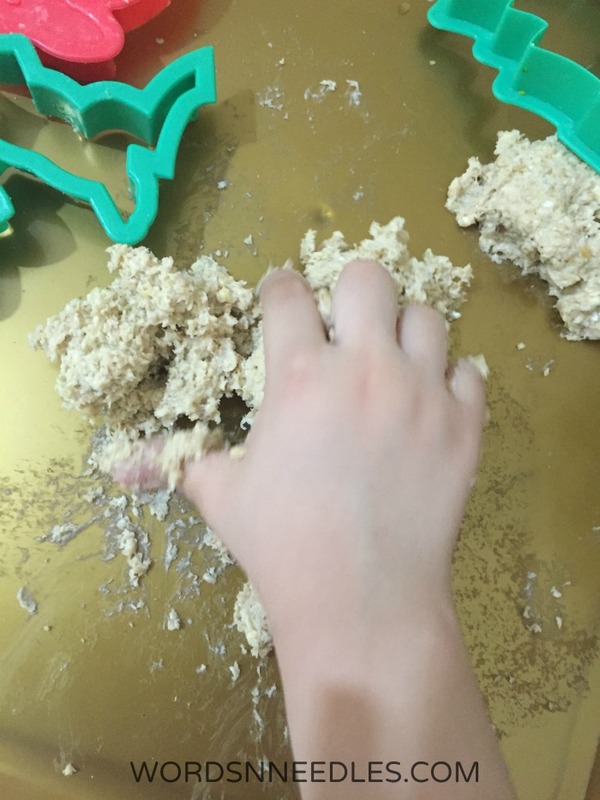 This play dough recipe idea stemmed from one time when she left her porridge untouched. I was in a hurry and we just left it as it is. That evening, while doing the dishes, it occurred to me that I could let her play with her breakfast. So the next morning, I made her porridge a little thick and then rolled it with more oats and presented it to her on s segmented plate with raisins, fruit pieces and dried apricots. I told her we were playing play dough at breakfast. She ate it and she played with it. I know. My mother will frown upon this. 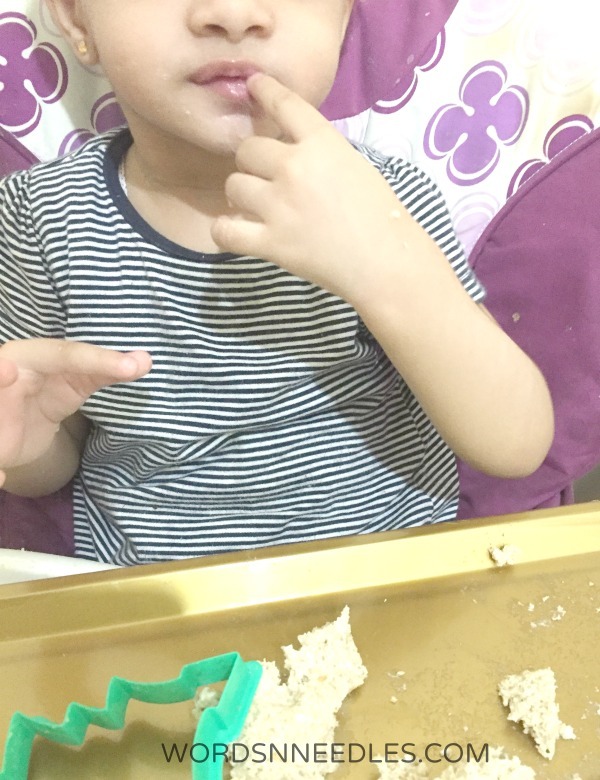 ‘I let my child play with her food and she ate with both her hands’. But mom, we had so much fun!! 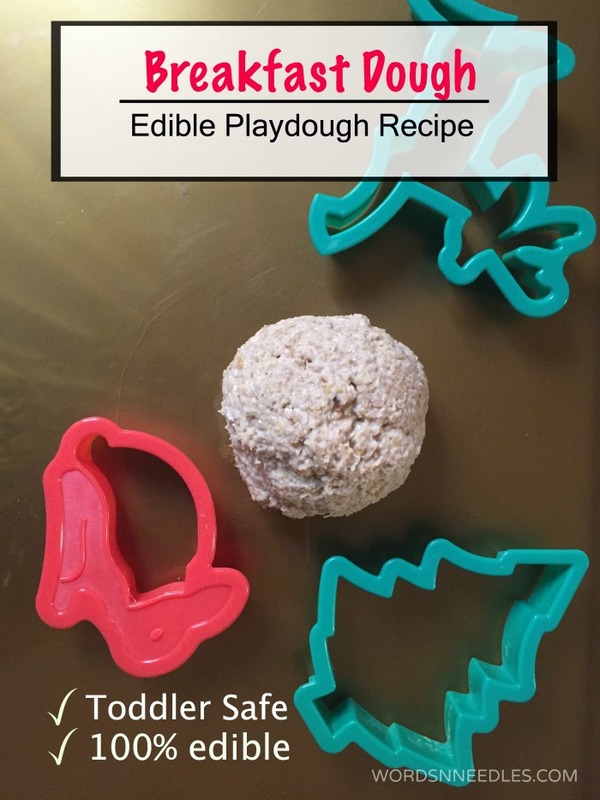 This recipe is now my go to play recipe for anytime she needs sensory play but I am a little distracted. I feel it safe (atleast for my 26month old) to eat or roll. 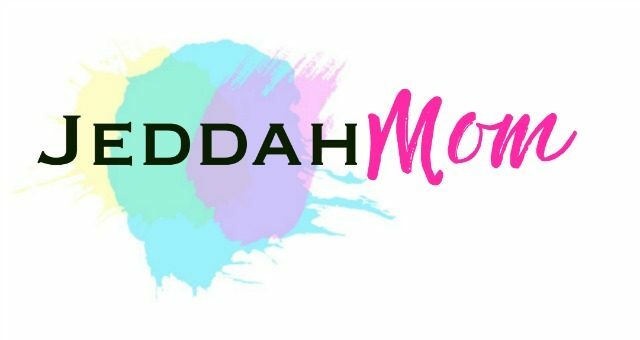 If you are a mom like me… Go ahead, step out of your mommy shoes and have some messy fun. 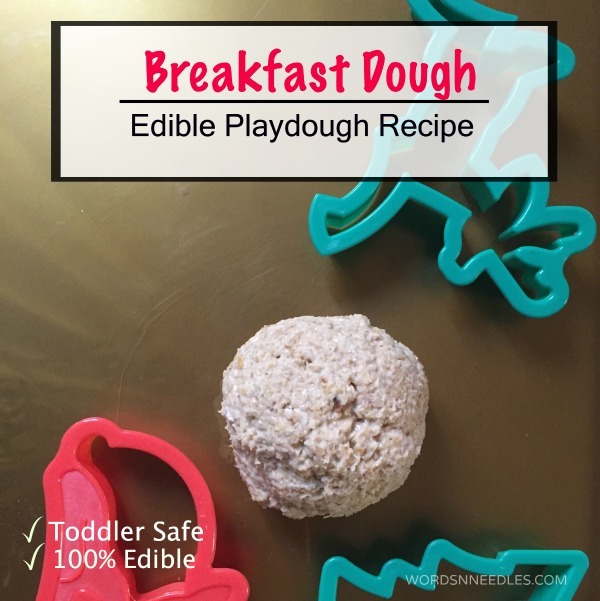 Breakfast dough for toddlers! Please NOTE: This play dough contains milk and porridge oats. It is not gluten or dairy free and if you use nuts or other dry fruits then please make sure that your child is not allergic to any of it. Also, please make sure your child is old enough and has enough teeth to chew on such food items. Please DO NOT give inedible items with this play dough. The child may not know how to differentiate if he/she can eat it. Boil milk with sugar. Add the oats and cook till mixture thickens. Let it cool. Roll it out with more oats to make it into a ball. It will stop being sticky after you knead and roll it for a while. Let me know how your child likes our Breakfast dough.